Your event is unique and special, so is our DJ,Photo Booth and lighting setup. 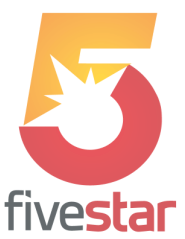 At Five Star we customize a package for your event that fits your budget and style. We can be featured in the center or we can blend into the background. We can setup over 10 speakers and 40 different lights for larger events or we can setup 2 speakers & a microphone for smaller events. We offer the option to combine our DJ, Photo Booth and lighting services for a truly unique experience. Because each event is so different we do not have a standard fee that can be quoted to everyone. Prices vary depending on the date, location, and duration of the event. There is no event too small or large, please REQUEST A QUOTE and take a look at the PHOTO GALLERY to see some of our past events.